The management of the University of Lagos (UNILAG) invited applications from suitably qualified candidates for admission into the following programmes at the university which will be offered by Open and Distance Learning mode. UNILAG DLI Admission General Entry Requirements. Candidates seeking admission to DLI must meet the minimum entry requirements of Five (5) Credits in WASSCE/SSCE/GCE/NABTEB/NECO O’Level or its equivalent, including English Language and Mathematics, taken at not more than two (2) sittings. Candidate must not be less than 21 years of age by 31st December, 2017. 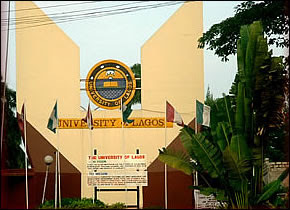 UNILAG DLI Admission Specific Entry Requirements. Graduates of University of Lagos or any other university recognized by Senate (only candidates with good honours degrees in relevant disciplines will be considered for admission at enhanced entry level). Holders of Higher National Diploma (HND) or National Diploma (ND) or National Certificate in Education (NCE) in the relevant disciplines. For this category, please note that only holders of HND with at least Upper Credit will be eligible for admissions at enhanced entry level. Holders of recognized relevant full professional qualifications such as ACA, ACCA, ACMA, ACIA, ACIS, ACIB, CII, may be considered for admission at enhanced level provided they have five credits at WASSCE/SSCE/GCE/NECO (O’ Level) or its equivalent, which must include English Language, Mathematics, Economics plus any other two subjects at not more than two (2) sittings. Holders of WASSCE/SSCE/GCE/NECO (O’ Level) or its equivalent with credits in five (5) subjects including English Language, Mathematics, Economics plus any other two subjects at not more than two (2) sittings. NOTE: Point of entry for candidates in categories a, b and c will depend on details of their Transcripts and such candidates must also satisfy the WASSCE/SSCE/GCE/NECO (O’ Level) or its equivalent as stated in (d) above. WASSCE/SSCE/GCE/NECO (O’ Level) or its equivalent with 5 credits to include English Language, Mathematics, Economics plus any other two (2)subjects at not more than two (2) sittings. WASSCE/SSCE/GCE/NECO (O’ Level) or its equivalent with 5 credits to include English Language, Mathematics, Government plus any other two (2) subjects at not more than two(2) sittings. B.Sc. Education Biology – Biology, Chemistry and one other Science subject of Physics or Agricultural Science. B.Sc. Education Chemistry – Chemistry and any two of Physics, Biology, Agricultural Science or any other Science subject. B.Sc. Education Mathematics – Mathematics and Physics and one other Science subjects of Chemistry, Biology, Agricultural Science or any other Science subject including at least a pass in Further Mathematics. B.Sc. Education Physics – Physics and Chemistry and one other Science subject of Biology, Agricultural Science or any other science subject. (a) Two A/Level passes in proposed subjects of study(Biology, Chemistry, Mathematics and Physics) plus the WASSCE/GCE/SSCE/NECO (O’ Level)or its Equivalent with credit in five subjects in English Language, Mathematics, Biology, Chemistry, Physics and any other science subject (For Education Mathematics at least a pass in Further Mathematics is Compulsory). (b) National Certificate in Education (NCE) obtained from the former College of Education, University of Lagos, in the Science subjects to be offered, or from any College of Education recognised by the Senate of the University of Lagos with Credit/Merit (in proposed subject of study) and any other Science subject. How to Apply for UNILAG DLI Admission. Step 3: Select Distance Learning Institute as application Type, then provide your Surname, First name, Middle name, mobile number and email address. Step 4: Click the pay now to pay the application fee of N17,500 (Seventeen Thousand, Five Hundred Naira) only: online or print the payment advice to make payment at any Commercial Bank. Step 5: Return to the application portal (http://applications.unilag.edu.ng) after payment, click continue application, provide your payment reference number and your surname in lowercase as password. Step 6: Complete the application form and submit online and print a copy. (Applicant is also given the opportunity to save Application Form and later complete the Form in case certain information are not readily available). Applicants for Distance Learning Institute programme shall not be less than 21 years of age by 31st December, 2017 i.e. applicants whose date of birth were on or before 31st December, 1996. Offer of admission to programme listed above are subject to viable number of qualified applicants. On-line Print Out Results Slips will not be honored at the point of registration. Candidate awaiting results need not apply. Certificates and not statement of result slips are acceptable for WASC/SSCE/GCE/NECO results obtained before 2015. All completed application forms are to be submitted on or before 31st July, 2018. Candidates should be on the look out for the date and details of a selection test. For further Assistance, applicants may call any of these Help Lines: +234-1-293-0910, +234-907-368-9973, +234-907-342-3647; E-mail Address: dlienquiries@unilag.edu.ng.